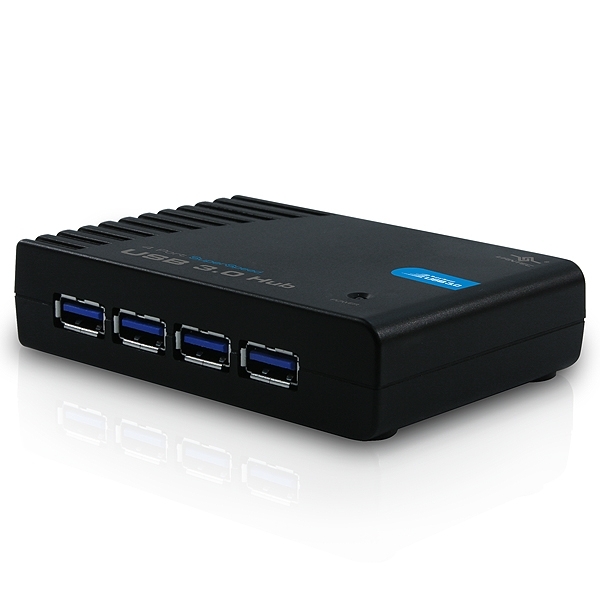 The Vantec 4 Port SuperSpeed USB 3.0 Hub once again revolutionizes the way we move data from our computer to our devices. 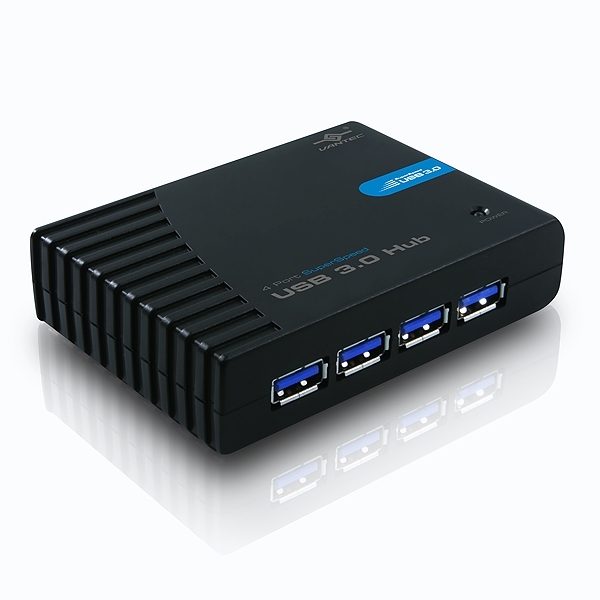 Intergrated with the latest SuperSpeed USB 3.0 standard, easily add four USB ports to any computer ensuring that all your USB needs are met. 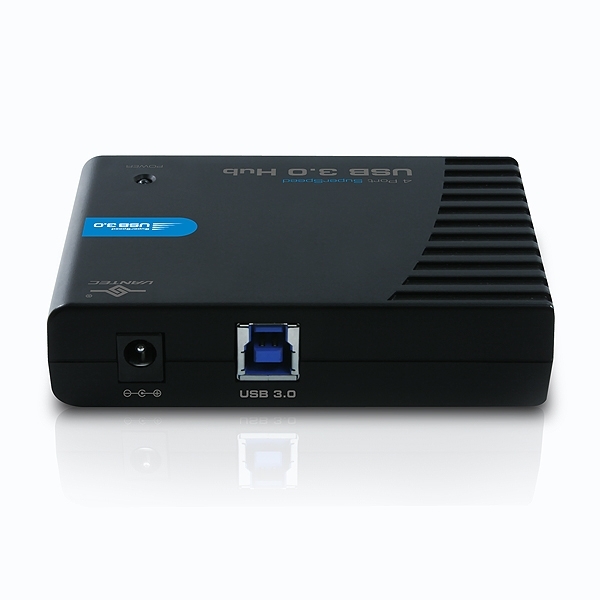 Enjoy transfer rates of up to 5Gbps allowing you to copy videos, music, photos, data files between USB devices and the computer at blazing fast speeds. No drivers are necessary as this is a simple plug and play device. 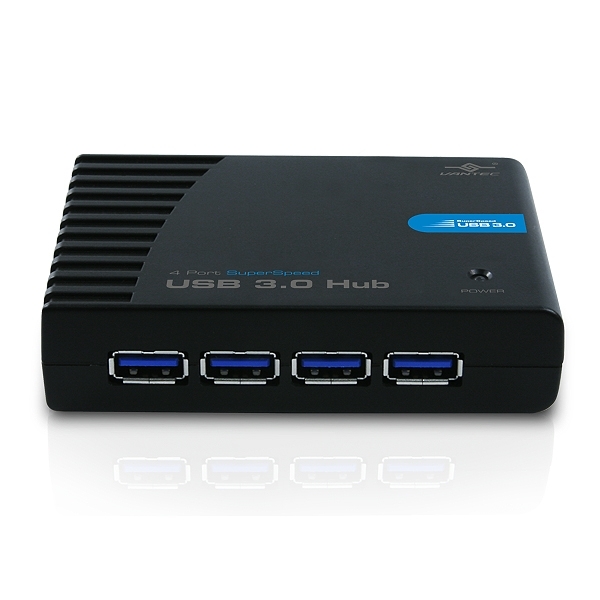 The Vantec 4 Port SuperSpeed USB 3.0 Hub is an ideal solution for anyone seeking a well designed hub which fuses a sleek and compact design without sacrificing any of its functionality. Download this firmware and run it on a Windows system to flash the hub. 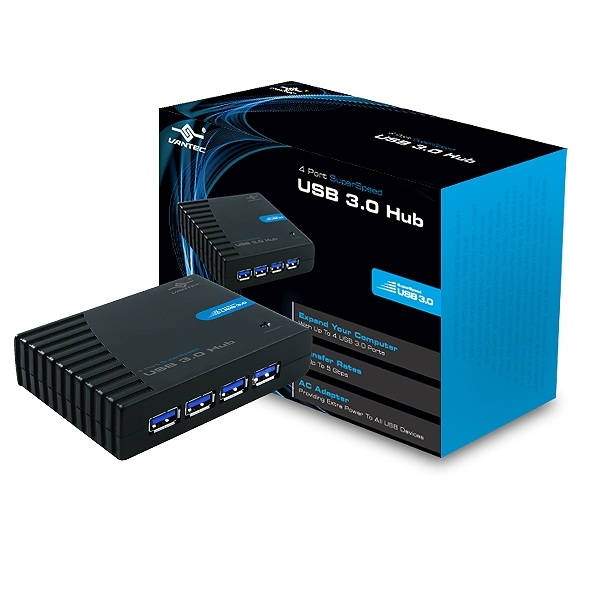 Make sure the hub is connected before you flash it.